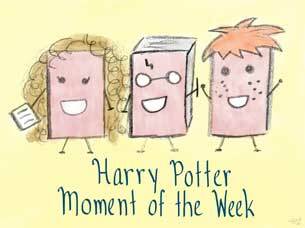 Rally the Readers: Harry Potter Moment of the Week (76): What Would Your Amortentia Smell Like? Harry Potter Moment of the Week (76): What Would Your Amortentia Smell Like? I love the smells you listed Lee! I would definitely say they'd be my amorentia smells too. I love smelling books, cookies - or anything baking in the oven really - and coffee! I would also add chocolate and vanilla and burnt sugar which are all really attractive scents for me as well. I'd have two. Spring/Summer - Coconuts, lime and the ocean. Fall /Winter - cinnamon, vanilla. Obviously it's associated with food!